« There’s racing and then there’s road racing. We are pleased to welcome MK-Components as an OSS Trader, with a discount available for OSS as well as some very nice Yoshimura goodies to give away too! Some of you may know our friend Mar71n and his rather nice engine covers. 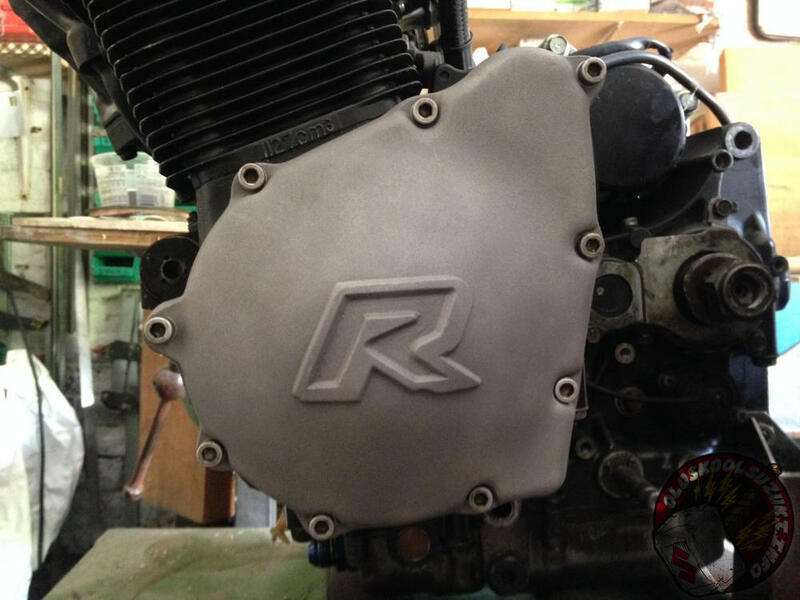 Well, good news as he’s started producing the R engine covers again! They fit the 1127cc oil cooled motor & its later versions. He’s also looking at producing covers for some other motors too. The R covers are now for sale on a certain well known auction site. However, if you buy through OSS, you get 10% off! To qualify, you need to contact Mar71n via OSS for that discount. With the next batch of R covers he’ll be machining some for the 750/1052cc motor as well. So that should get most of you oil cooled boys and girls covered… terrible pun intentional! For details of how get your OSS discount and to enter the competition, see the article in our Traders section here. Please note that you need a 50+ post count on the OSS forum to take part. Tagged EFE, engine covers, gsxr, traders. Bookmark the permalink.